Lawrence Tanner mentions many different individuals in his journal. This page aims to provide a basic biography of those mentioned frequently to assist the reader. There are also some ‘spoilers’ providing information about the later lives of those featured. These are written in white text so highlight the blank sections if you would like to read more. Writer of this journal. Head of Grant’s House, a pupil in his final year at school. At the end of Tanner’s final year at Westminster he won a place to read History at Pembroke College, Cambridge. 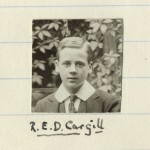 After serving in the First World War he returned to the school to teach the History VII. He became Keeper of the Muniments for Westminster Abbey in 1926 and gave up teaching at the school completely in 1932 to dedicate himself to this role which held for forty years until his retirement in 1966. Tanner continued his close involvement with both School until his death in 1979 at the age of 89. He is buried in Westminster Abbey. Lawrence Tanner’s father, Housemaster of Grants and teacher of Classics. 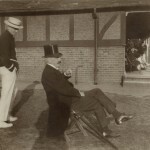 ‘The Buck,’ as he was affectionately called up Grant’s, was born at Chewton House, near Christchurch, on July 13, 1857, the third son of Mr. Joseph Tanner. His father had been called to the Bar, and his grandfather was for many years the principal solicitor in Salisbury. The family was of an ancient yeoman stock long settled at Wexcombe Manor, in North Wilts. Educated at Sherborne School and Pembroke College, Cambridge he came to teach at Westminster at Dr. Scott’s request in 1881 and became Housemaster of Grant’s in 1890. In 1884 he married Miss Lucy Eyre, a partnership which was tragically cut short by her premature death in 1900. He retired in 1919 after nearly forty years’ service, and was presented by the whole body of Old Westminsters with his portrait by Mr. Hugh Riviere, of which a replica was at the same time given to Grant’s. He settled after his retirement at Frant, in Sussex where he died in 1924. Lawrence’s elder brother who left Westminster School in 1903. A Lieutenant in the King’s (Liverpool) Regiment. Ray was made a Captain in 1912 and married in 1913. On the outbreak of the First World War in August 1914 he was posted to the western front. He died in hospital at Versailles on September 23rd, 1914 of wounds recieved in action in the battle of Aisne earlier that month. Head Master of Westminster School between 1901-1919. Gow was born in 1854, the son of James Gow, a member of the Royal Society of British Artists, and was educated at King’s College School and at Trinity College, Cambridge. At Cambridge he was third Classic and gained the second Chancellor’s Medal. He became a Fellow of Trinity, and was subsequently called to the Bar at Lincoln’s Inn in 1879, but he never practised extensively and devoted his time to research. In 1884 he published ‘A Short History of Greek Mathematics,’ and for this work obtained the degree of Litterarum Doctor the following year. In the same year he was appointed Master of the High School, Nottingham. 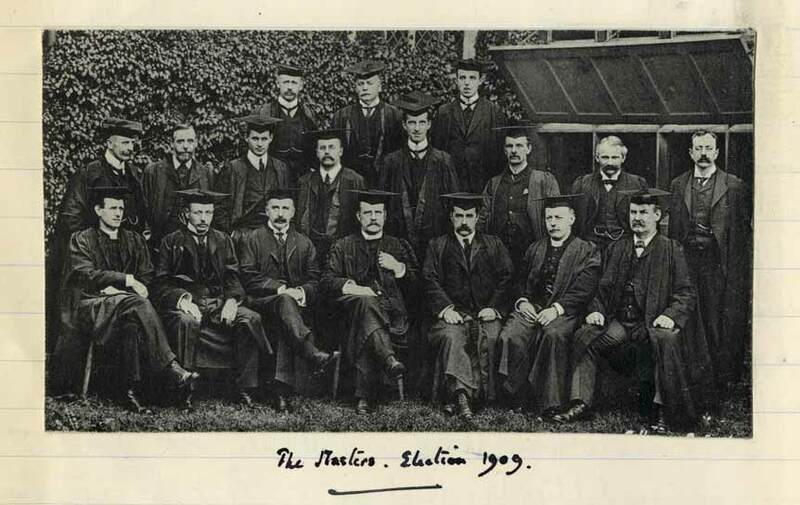 In 1901 he was appointed to succeed the late Dr. Rutherford as Head Master of Westminster. The eighteen years of his Head Mastership were singularly eventful, and the School owes much to his wise and firm rule. To Dr. Gow were due the new Science Buildings in College Street, the College Sanatorium, the institution of the O.T.C., and the revival of Water, besides many improvements in the School buildings. During his Head Mastership the numbers of the School greatly increased and its great traditions, both in scholarship and games, were fully maintained. Gow remained Head Master throughout the First World War despite the gradual loss of his eye sight and death of his son in the conflict. He died shortly after retiring from the school in 1923. Master of the King’s Scholars and teacher of Classics. Second from the right on the front row in the above photograph. Raynor came to Westminster under Head Master Rutherford in September, 1885, and six months later became Master of the Queen’s Scholars. He remained in charge of College till his retirement in 1921, while for the greater part of his time he was Master of the Upper Shell. He died in 1935. Raynor’s son, John, wrote a wonderful account of his childhood living in the house of the Master of the Queen’s Scholars, No. 3, Little Dean’s Yard. Classics Master , but also taught History and English Literature. Author of ‘Annals of Westminster School’. Second from the left in the front row in the above photograph. John Sargeaunt was the son of the late John Barneby Sargeaunt, barrister-at-law, and was born in Northamptonshire in 1857. From Bedford School he went to University College, Oxford, where he took a first in Mods and a second in Greats and was President of the Oxford Union. He was, for a time, a master both at Inverness and at Felsted, but in 1890 he came to Westminster, and was Master of the VI Form until he retired in 1918. He died in 1922. Sargeaunt’s exceptional capacity as a teacher was founded not only upon the versatility of his learning but also upon the breadth of his tastes. Fisherman, mountaineer, botanist, and gardener, he was also archer, amateur actor, and devotee of the chessboard and bridge table. He was an antiquary and an ardent genealogist. He had a wide and thorough command of Greek and Latin literature, a lifelong passion for poetry, and a skilled and sensitive appreciation of English letters. He was most at home in the eighteenth century. It almost follows that he was first and foremost a Virgilian. The chief of his familiars was Dr Johnson, whose distaste for music he shared, though not his toryism. All Sargeaunt’s resources were at the command of a masterly memory, and all contributed copiously to his teaching. It was true in a narrow sense that he taught without method or discipline. He could afford to indulge his unpedagogic aversion from penalties, for he enjoyed an effortless hold upon boys and their interest, and boys were eager to justify his quiet assumption that they were responsible fellow learners. The method was equally free. Sargeaunt taught by digression: there was no saying where the play of illustration, quotation, and parallel, not without dramatic impersonation and declamation at times, might not carry a lesson. It was not a system at work, but a personality, and the end was attained when a boy became fired with the determination to seek out Sargeaunt’s treasures for himself. Teacher of Modern Languages and History. History Master. Third from the right in the middle row in the above photograph. Science Master. Fourth from the right in the middle row of the above photograph. Tanner suggests that Croxford attempted suicide in his journal entry of December 15th. He notes on January 18th that Croxford had cut is throat at his home in Essex over the weekend. Manservant for Grant’s House. Brother-in-law of Mrs Brind, the cook. Previously butler at the German Embassy. At the start of World War I Barrington-Ward became an officer with the Duke of Cornwall’s Light Infantry. He went on to serve in France and Belgium, where he was mentioned in despatches three times and awarded both the Distinguished Service Order and the Military Cross. After the war he began work as a journalist and eventually rose to be Editor of The Times in 1941. He died in 1948. Princeps Oppidanorum, literally ‘Prince of the Town’. Captain of the Town Boys [non-scholars] and therefore the second most senior boy in the school. Low went on to Oriel College, Oxford, where he excelled in the Classics. Unfit for active service in 1914 he worked as a teacher at Malborough and, briefly, after the war, at Westminster. He went on to become Rector of Kelvinside Academy, Glasgow. Low is perhaps best remembered for his work on Gibbon, another Old Westminster. A King’s Scholar in his final year at the school. Head of Homeboarder’s House and in his final year at the school. A Chiswickite in Grant’s Boarding House. A Hallite in Grant’s Boarding House. 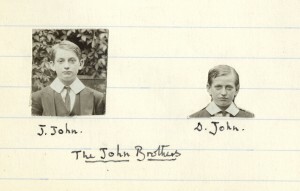 The youngest of three brothers at the school all of whom were Homeboarders. After seeing active service in the First World War, initially as 2nd Lieutenant in the London Regiment, Circuitt joined the Stock Exchange. He died on October 3rd, 1937. Clarke joined the Inns of Court Officer Training Corps in 1911 and served during the First World War. He was killed in action during the First World War whilst leading an attack on Massiere’s Wood, August 31, 1918 and was posthumously awarded the military cross. Pupil in Grant’s. In Middle Chiswick. Pupil in Grant’s. In Outer Chiswick. 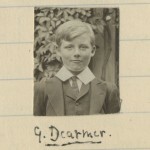 Son of Percy Dearmer; a Hallite in Grant’s Boarding House. Dearmer served in Gallipoli, Egypt and France during the First World War and published poetry about his experiences after the war. Hallite in Grant’s Boarding House. Son of the Head Master. A King’s Scholar in his final year at the school. A HomeBoarder. On the school’s Second XI Football Team. After leaving the school in 1911 Hallward began to study music. On the outbreak of the First World War he joined as a 2nd Lieutenant in the 10th (Service) Battalion Royal Warwickshire Regiment. He was promoted to Lieutenant with the RFA on September 9th, 1915. He was killed in action near Arras on April 10th, 1918. 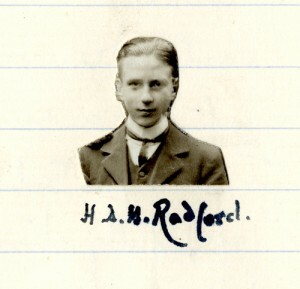 King’s Scholar in his final year at school. Tanner’s ‘Second Monitor’ – his deputy as Head of House. Hobson succeeded Tanner as Head of House. After serving in the First World War, starting as a dispatch rider and ending as a Brigade Major with DSO, Hobson trained as a Doctor. He died in 1961. A Hallite in Grant’s. 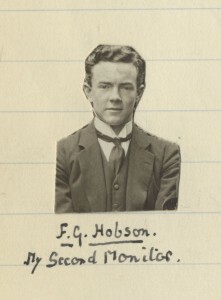 Younger brother to Hobson, Second Monitor in Grant’s. A pupil in Grant’s. Head of Hall. John Harold John (John J.) and David Martin John are both Hallites in Grant’s. Often referred to as the John Brothers by Tanner. King’s Scholar in his penultimate year at school. Miles was killed in action whilst serving in the First World War, at Hulloch, near Loos, September 26th, 1915. A senior pupil in Grant’s. No relation of John Sargeaunt, above. First year boy in Grant’s House and one of Tanner’s fags. Known as The Professor or the Philosopher due to his intellect. Sedgwick became a King’s Scholar in his second year in the school. He read History at Trinity College Cambridge and worked in various civil service roles during and after the First World War. He eventually rose to the role of Deputy high Commissioner, South Africa in 1946 and was made an Assistant Under Secretary of State in 1949. Hallite. Second year boy in Grant’s House. Hallite. First year boy in Grant’s House and one of Tanner’s fags. Smurthwaite was killed in action whilst serving in the First World War, at Ypres, October 26th, 1914. 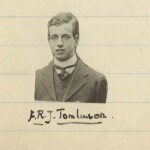 Tomlinson was killed in action whilst serving in the First World War, at Krusik, near Ypres, October 26th, 1914. A King’s Scholar and winner of the Triplett gratuity (a scholarship for the Classics). Worked as a Clerk in the War Office during the First World War and continued his carrer within the Civil Service until his retirement in 1953. King’s Scholar in his final year. A pupil in Grant’s. Second in Hall. A King’s Scholar in his final year. Adrian Boult, a great friend of Tanner’s and a talented musician. 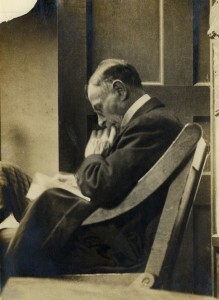 Boult left Westminster in July 1908 to study at Christ Church, Oxford. 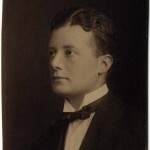 Boult continued his musical studies in England and Leipzig, Germany, with early conducting work in London for the Royal Opera House and Sergei Diaghilev’s ballet company. His first prominent post was conductor of the City of Birmingham Orchestra in 1924. When the British Broadcasting Corporation appointed him director of music in 1930, he established the BBC Symphony Orchestra and became its chief conductor. The orchestra set standards of excellence that were rivalled in Britain only by the London Philharmonic Orchestra (LPO), founded two years later. Forced to leave the BBC in 1950 on reaching retirement age, Boult took on the chief conductorship of the LPO. The orchestra had declined from its peak of the 1930s, but under his guidance its fortunes were revived. He retired as its chief conductor in 1957, and later accepted the post of president. Although in the latter part of his career he worked with other orchestras, including the London Symphony Orchestra, the Philharmonia Orchestra, the Royal Philharmonic Orchestra, and his former orchestra, the BBC Symphony, it was the LPO with which he was primarily associated, conducting it in concerts and recordings until 1978, in what was widely called his “Indian Summer”. Boult was known for his championing of British music. He gave the first performance of his friend Gustav Holst’s The Planets, and introduced new works by, among others, Bliss, Britten, Delius, Tippett, Vaughan Williams and Walton. 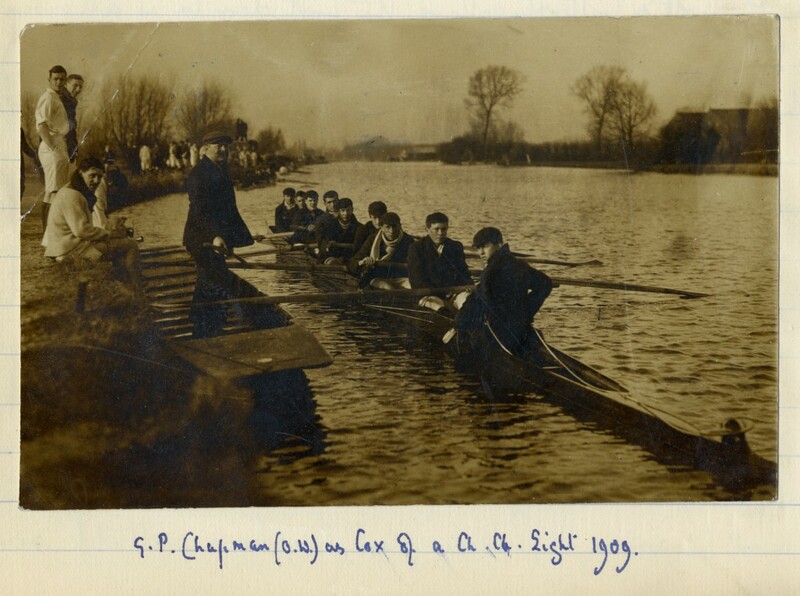 Friend of Tanner’s who left the school in July 1908 to study at Chirst Church College, Oxford. Guy Chapman became an author and academic. He became Professor of Modern History, University of Leeds, 1945-53, and later visiting Professor, University of Pittsburgh, 1948-9. Amongst his works were two books on William Beckford, another Old Westminster. Another friend of Tanner’s who left in July 1908. 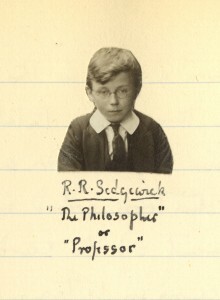 Gordon went on to study at Pembroke College, Cambridge. Gordon was wounded in the First World War and consequently died young on January 11th, 1920. 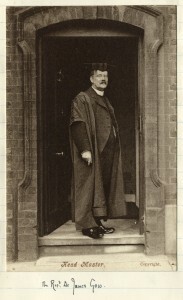 Tanner’s predecessor as Head of Grant’s House, left in July 1908 to go to Brasenose College, Oxford. Gordon Reed was awarded the Military Cross for his service in the First World War. He went on to be joint Head Master of Wixenford School, Berkshire. 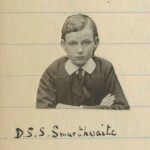 Scholar and Captain of the School in 1904. 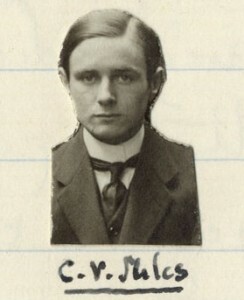 Wilson was elected head to Trinity College Cambridge. Joseph Armitage Robinson was Dean of Westminster during Tanner’s time at school. As Dean he was also ex-officio Chairman of the Governors of Westminster School. Robinson was an erudite scholar, with a keen interest in history, particularly the monastic history of Westminster Abbey. An old man by the time Tanner was writing his journal (Duckworth was born in 1834). He was present in the original boating expedition of 4 July 1862 during which Alice’s Adventures were first told by Lewis Carroll (Charles Lutwidge Dodgson) and is represented by the Duck in the book, a play on his last name. My ancestors were called WHITMORE from Westminster area. do you know whitmores first name mentioned at Grants school? Sorry – your comment got lost in the spam! There have been several Whitmores at Westminster School. 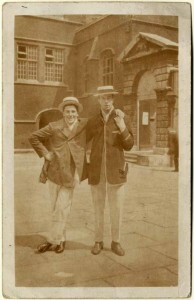 Tanner is referring to Hugh Frederick Whitmore, whose brother – Dennett Hersee and father – Frederick John also attended the school. Another Whitmore – John Beach, also attended the school in the late 19th Century.